A sophisticated cultured freshwater pearl with gorgeous lustre, embellished with pave set sparking crystals, is mounted on a slim sterling silver extendable trace chain. 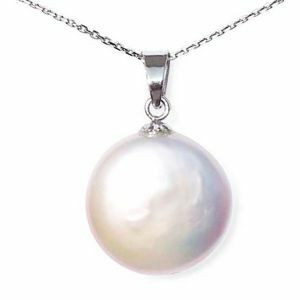 A very desirable single pearl pendant necklace. Available in white or black. A sophisticated cultured freshwater pearl with gorgeous lustre, embellished with pave set sparking crystals, is mounted on a slim sterling silver extendable trace chain, with a small pearl at the back. 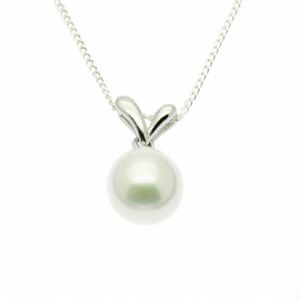 A stylish single pearl pendant necklace, very desirable and fashionable.